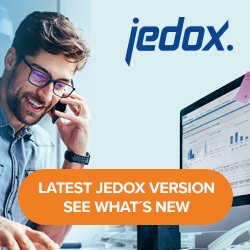 To connect to a Jedox Server from the Jedox Mobile app, you must be assigned to either a Jedox Viewer, Jedox Planner, or full Jedox license on this server. Ad-Hoc reports are stored in Report Designer in a file group called Ad-Hoc Reports, with a root folder of the same name. If these locations don’t exist already, they will be created when an ad-hoc report is created for the first time. If you create the ad-hoc report, you need at least “W” access for the right object “database” on the In-Memory Database server. It’s not mandatory for you to have access to the Report Designer in Jedox Web (ste_files right object).